On a bright sunny afternoon, two sundays ago, also known as cinco de mayo, a group of dedicated foodies met up for brunch in the heart of Harvard Square, at THE SINCLAIR. I am not too familiar with the Harvard Square area or their various restaurants, so this was my VERY FIRST experience indulging at one of the many hidden gems HS has to offer. And boy will I definitely come back. 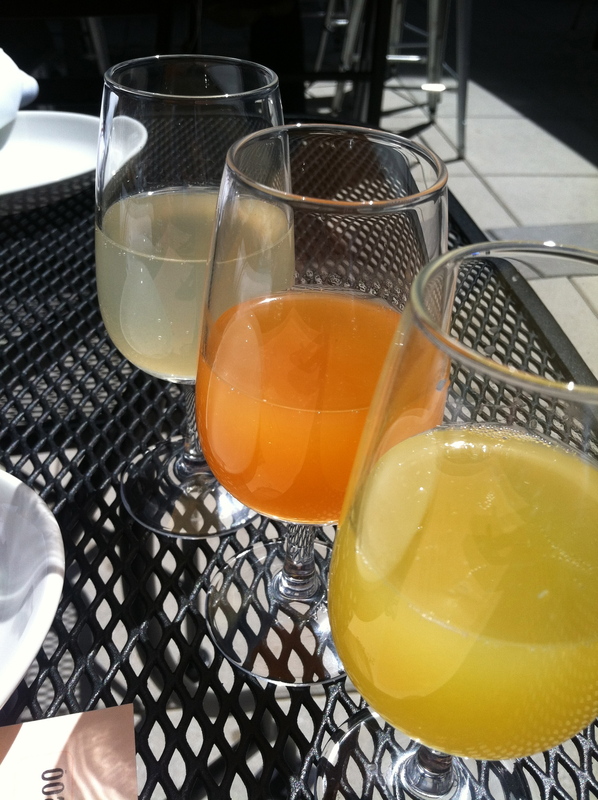 After we were all settled in, we were greeted with a Mimosa flight The Orchard pear being my favorite of the three! But seriously how cute! Not one, not two, but 3 cocktails! And what a great way to wet our appetites and ensure that we liked their food ( jk jk…it would have been delicious without all of the alcohol). 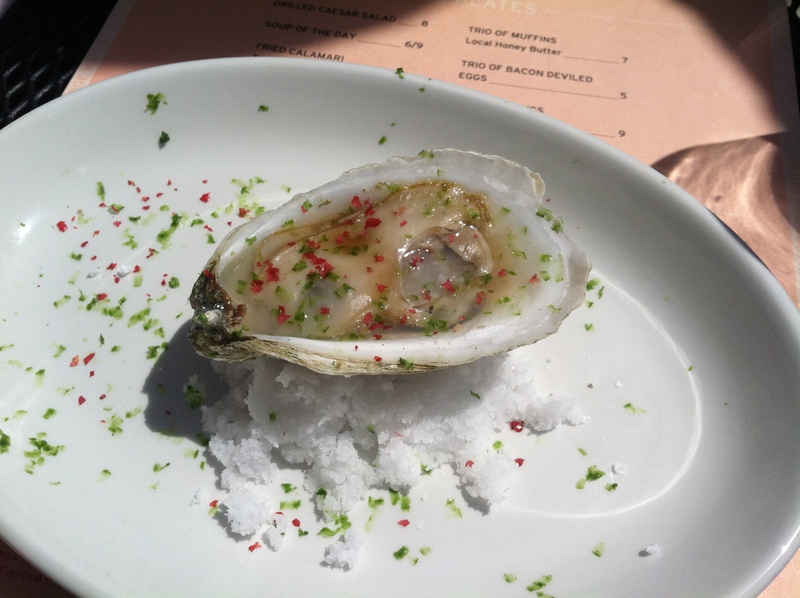 Next we were served a Virginia Oyster with pink peppercorn. I adore oysters so this was a perfectly copacetic way to begin my brunch experience. 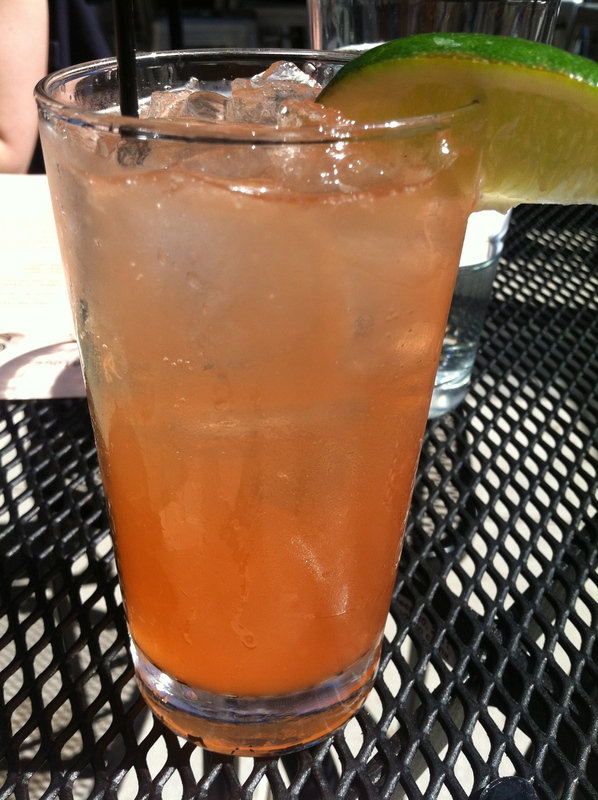 It was complemented with a Smoked Pork Belly Bloody Mary made with house vodka and Bloody Mary mix. The pork belly did have a nice smoky flavor to it and complemented the bloody mary quite well. Unfortunately, I hate bloody mary’s and this particular one did not woo me. It was a tad too salty for my liking, which I suppose is to be expected with this drink. 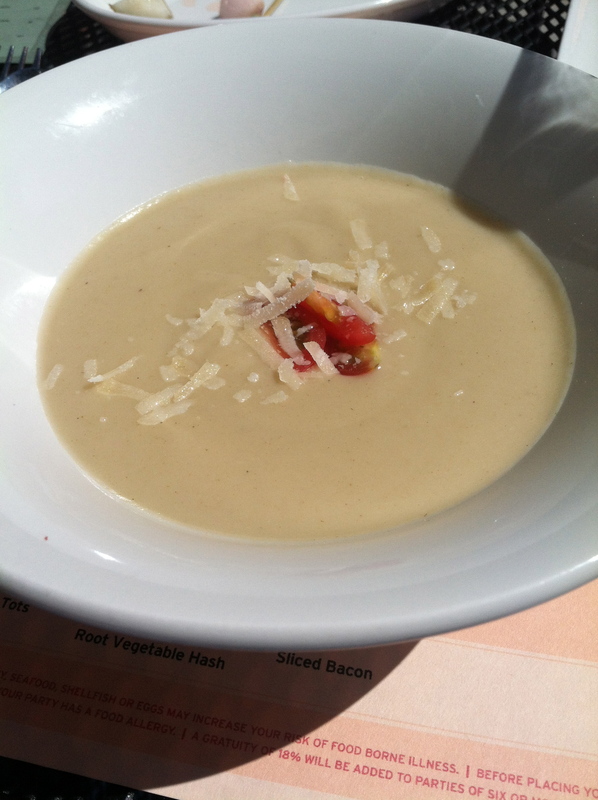 A brunch is not complete without a soup of course! So we were then served an asparagus soup with parmesan shavings on top. The Sinclair is certainly not stingy when it comes to portion sizes and ingredients. The soup was more than a generous amount! I was also pleasantly surprised that it was not too creamy and I was actually able to tolerate it quite well! 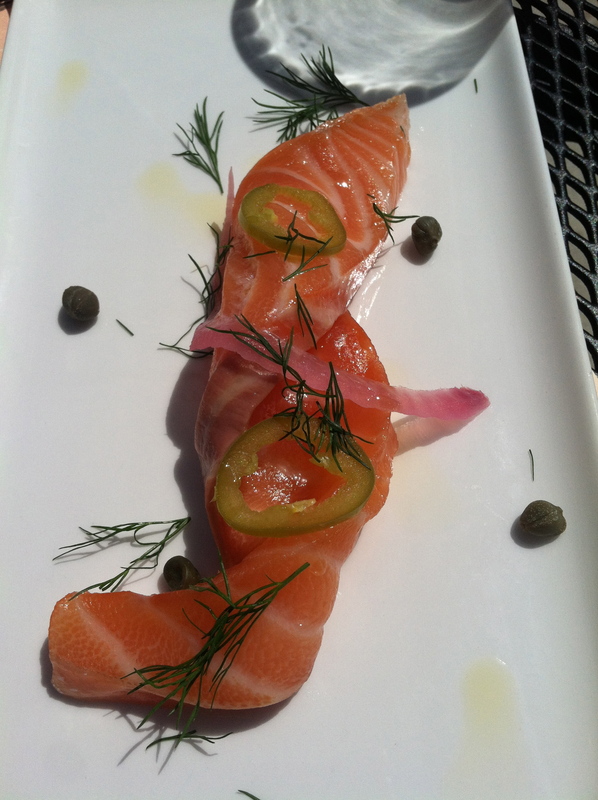 The brunch continued on with a delicious SMOKED SALMON with pickled chilies, capers, and truffle oil. I am crazy about truffle oil, so you can imagine my excitement when this dish was presented with one of my all time favorite ingredients. It was at this point that not only was I starting to get tipsy but also incredible full. Of course what came next was not to be missed, as it was another one of my fave dishes. 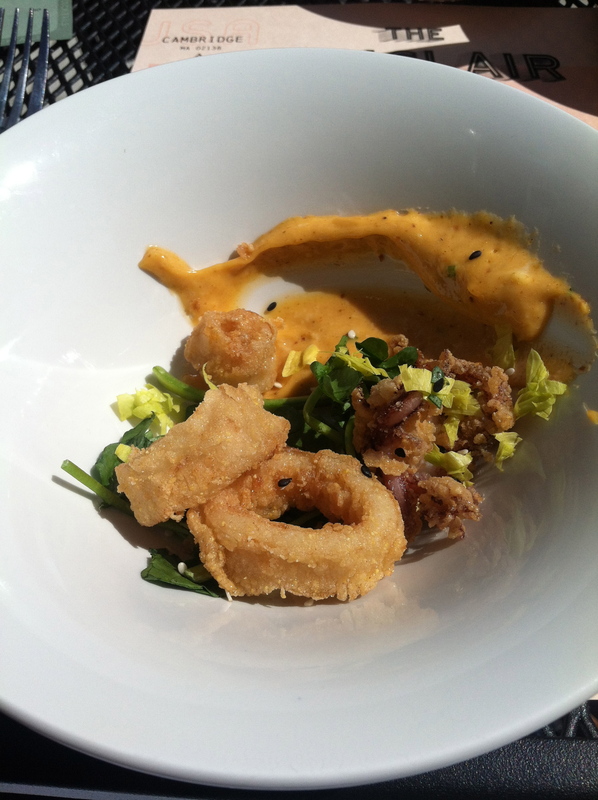 Fried Calamari with Tom Yun Gai sauce. The squid was nice and crunchy, just how I like it and the thai sauce was a perfect complement. Absolutely scrumptious! The sauce was not super spicy (hardly at all!) and to my surprise, Gluten Free Boston Girl asked if it was GF, AND IT WAS! So to all you GF people out there dying to eat some calamari, hit up THE SINCLAIR. Last but not least, Duck Confit over Vegetable Hash. Duck confit seems to be a popular menu item in Boston I am coming to realize, as it was also served at my last BB event. Even though I was completely stuffed at this point, I made sure to have a few bites of this delectable dish. The colors for spring were full and bright and really brought the dish together. 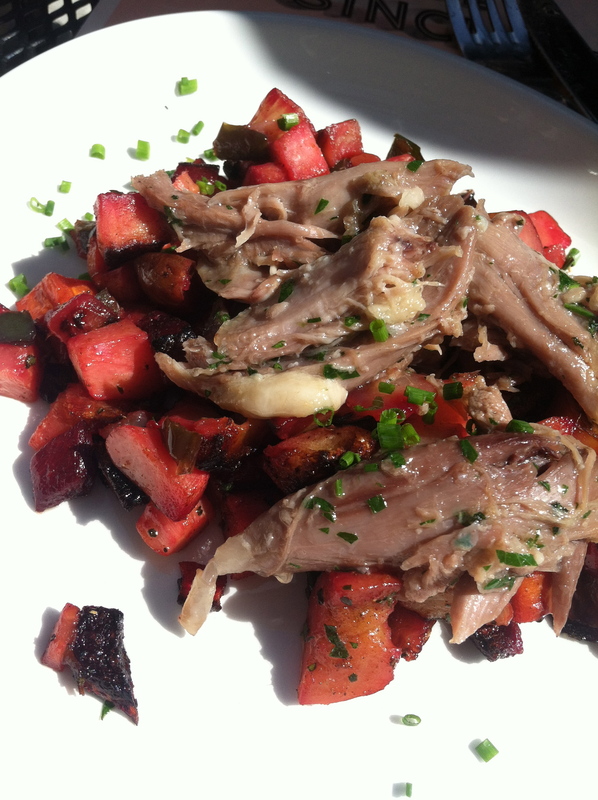 Duck confit is pretty colorless so you will, and should, often find it served with colorful foods. But, I absolutely loved this particular presentation and how it was served with a veggie hash as opposed to a salad of some sort. Definitely an admirable, creative take on bfast hash! If all BB events were like this, I’d be sure to attend each and every one of them. I was not quite sure what to expect as, at The Fireplace, we each ordered our own separate meals, which was fine, but I much preferred receiving a sampling of many of the items on The Sinclair menu. They really made sure to highlight some of their best dishes, and it reminded me a lot of my experience in Vegas. The waitstaff was super attentive (they kept refilling my water glass right away, which I drink a ton of water and it was a hot day, so this was super important to me and obviously recognized). Our waiters made sure to explain each dish in detail and also engaged in conversation with us, asking us about our blogs and what we do. I also loved the adorable outdoor patio, the creative and fresh dishes, the sampling of menu items, and of course getting to socialize with all of the Brunchers! I can’t wait to revisit this modern american restaurant soon! Note: Due to my being a member of the Boston Brunchers, I was provided this meal free of charge by The Sinclair, but my opinions are completely my own. It was great to chat with you over this delicious brunch! Hope to see you again soon.